A rescue team in Nigeria’s commercial capital, Lagos, is trying to find survivors after a three-storey building collapsed today near the centre of the city. Twenty people have so far been pulled from the rubble and emergency workers are carrying on the search. But they are facing serious challenges as the roads are narrow and inaccessible to large rescue equipment. I have been told that the collapse may have been caused by the owner trying to add an extra storey onto the building. 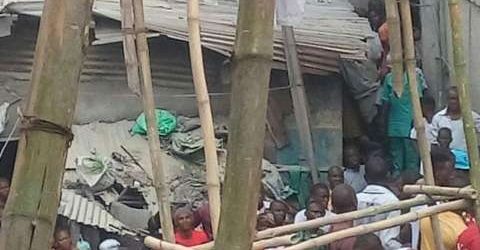 This is the third time in a month that a building has fallen down in Lagos.